The Township of Muskoka Lakes held a cheque presentation today for the South Muskoka Hospital Foundation. 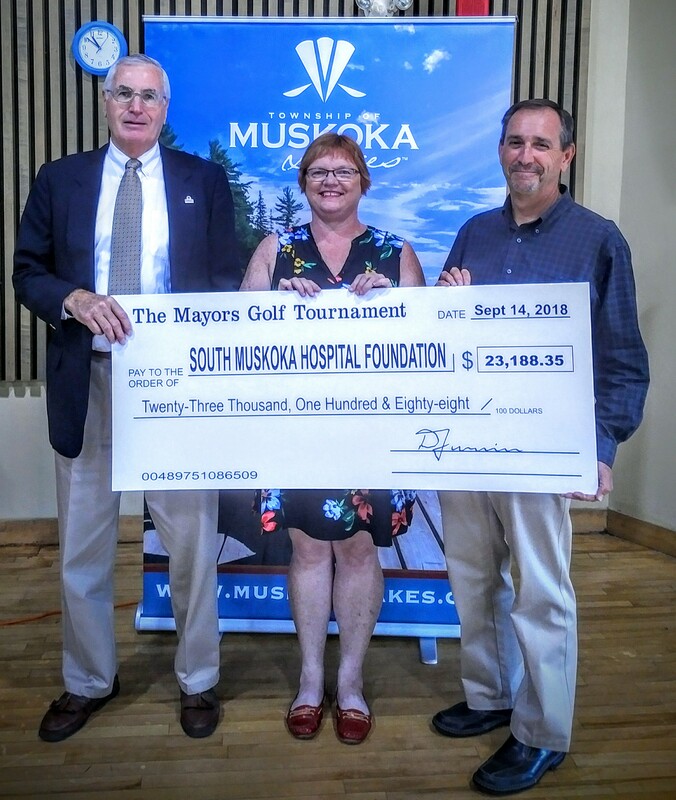 The 2018 Mayor’s Golf Classic raised $23,188.35 for the South Muskoka Hospital Foundation. Colin Miller, Executive Director of the South Muskoka Hospital Foundation was on hand for the presentation. With the proceeds from the Golf Classic, the Township was able to purchase two Crash Cart Standardizations, a Vital Signs Monitor and a ETCO2 Monitor from the foundations capital needs list. The 20th Annual Mayor’s Golf Classic was held on June 25, 2018 at The Rock Golf Course in Minett, Ontario. The tournament included great weather, golf, food and fun. Over 25 sponsors and 80 participants contributed to the fabulous event. The South Muskoka Memorial Hospital Foundation was established in 1980 to support the compassionate care of patients at the South Muskoka Memorial Hospital Site. It is only through generous community giving and these type of events that the foundation is able to purchase essential capital equipment and fund structural repairs to the South Muskoka Memorial Hospital.